This 1-day, interactive workshop is a stimulating blend of Neuroscience, Physiology and Psychology designed to enable individuals and teams to function at peak performance. Delegates are given a clear understanding of how their habits of thought affect their performance and emotional well-being as well as the interdependence between Body and Brain and are given simple blend of small changes in their habits which will enable them to enhance and develop their mental capacity. Recent understanding of Neuro Plasticity (the ongoing development of the brain and its capacity for recovery) from extreme trauma is given flesh by the living example of presenter Anthony Wright who lost essential functions such as balance, sight and hearing after life saving surgery to remove a brain tumour. Anthony’s story of recovery clearly demonstrates that our brains can grow, adapt and improve throughout our lives and no matter what challenges are put in our way. 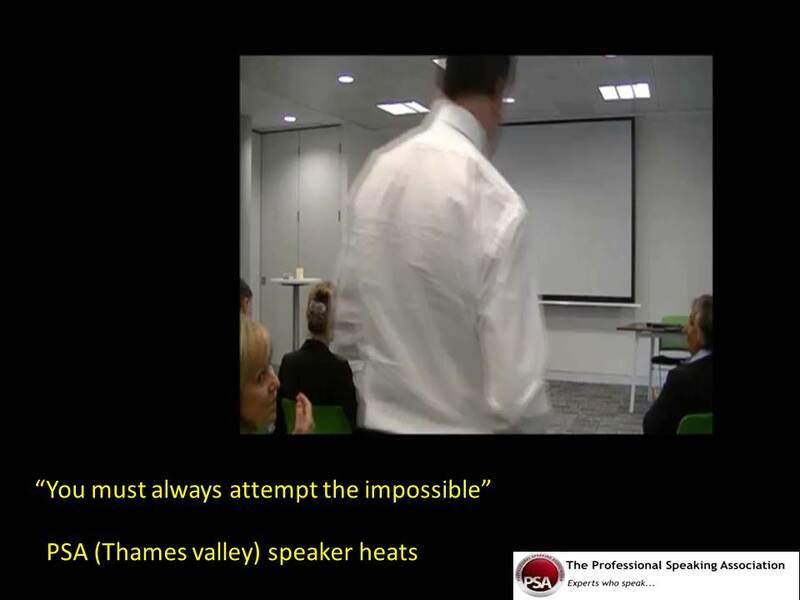 Co –Presenter Psychotherapist Tony Bennett who, as an entrepreneur, built a international multi million pound company now lectures on the psychology of achievement. The areas of nutrition, exercise, stress optimisation, performance psychology are all addressed. The learning outcome is a proven, easily applied, neuroscience-based method for changing behaviours to ensure that the program has a long-lasting impact. On individual achievement, company moral and profitability. This is an accessible, science based course which will enable delegates to realise their full potential and take control of the challenges which may have been perceived as getting in the way of their goals and ambitions. They will understand that they need never be limited by their genetics, their upbringing, their family history , their education, the influence of their peer group, their colleagues, their bosses, finance limitations, health, medical challenges or anything else, they will learn that the answer is entirely under their own control. Cutting edge Neuroscience has revealed how your mind and simple body chemistry and new understanding of Neuro plasticity drives our emotional responses good and bad, and the simple steps anyone can apply to take control of your outcomes. What are the key benefits to encouraging a process known as neuroplasticity either for individuals or the work-place? Within the structure of a change management exercise a neuroplasticity approach will reduce the trauma associated with such programs. This will increase both acceptance of change and the likelihood of a successful outcome.